Ernst Chain (1906-1979). 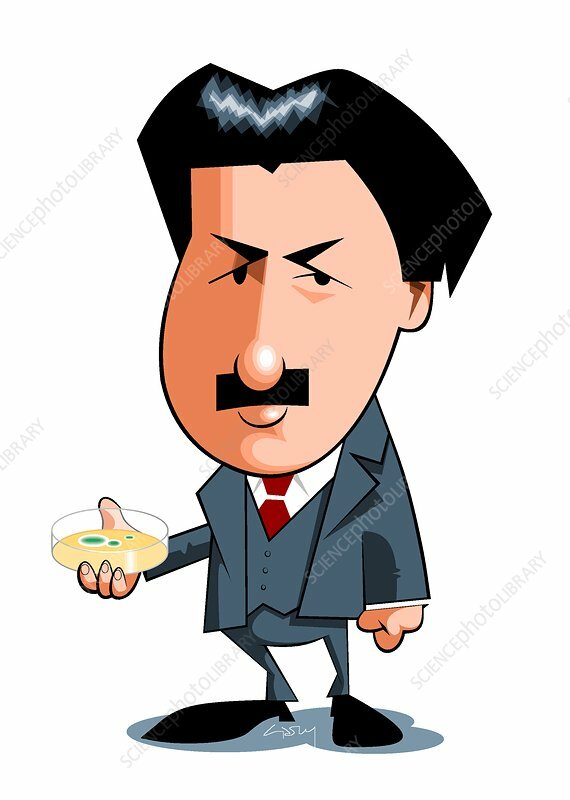 Caricature of the German biochemist Ernst Boris Chain holding a Petri dish. Chain is best known for his work, from 1939, reinvestigating the therapeutic action of penicillin (discovered nine years earlier by Alexander Fleming). His work covered a wide range of topics, including chemical pathology, phospholipids, snake venoms, methods of analysis and tumour metabolism. He shared the 1945 Nobel Prize in Physiology or Medicine for his work on penicillin (shared with his colleague in the penicillin investigations - Florey - and also shared with Fleming).